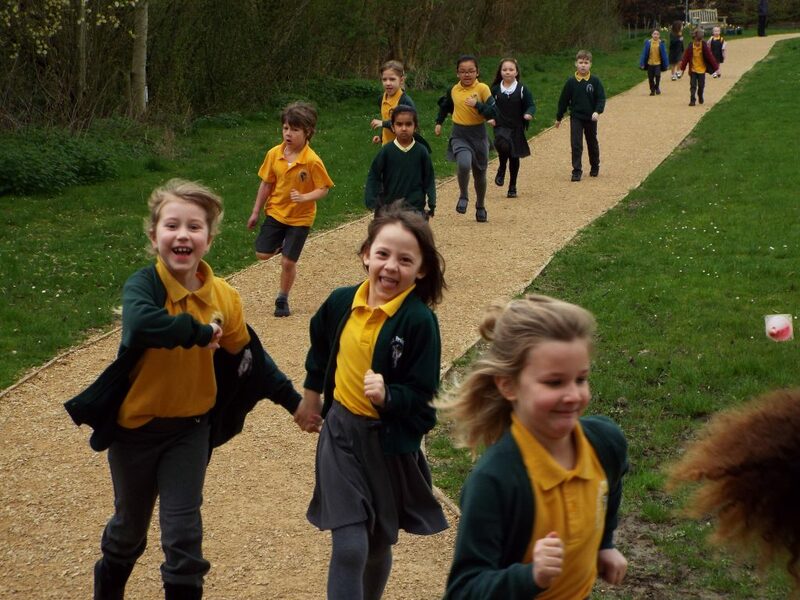 With one-in-ten children estimated to be obese by the age or 4 or 5, schools from across the UK are embracing exercise initiatives like the Daily Mile which aims to get every child running a mile a day in a bid to improve fitness, health and concentration in lessons. 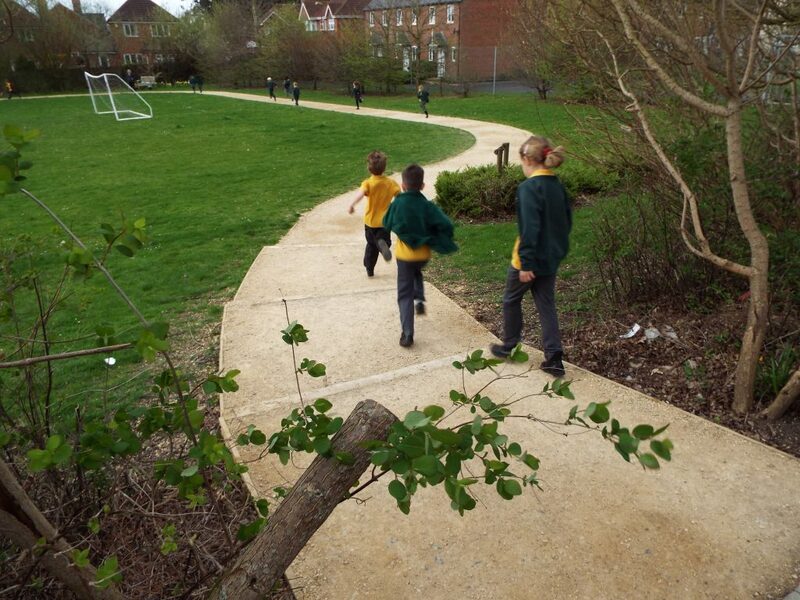 However, although running around a school field might be practical in summer, it can be soggy and muddy in winter. 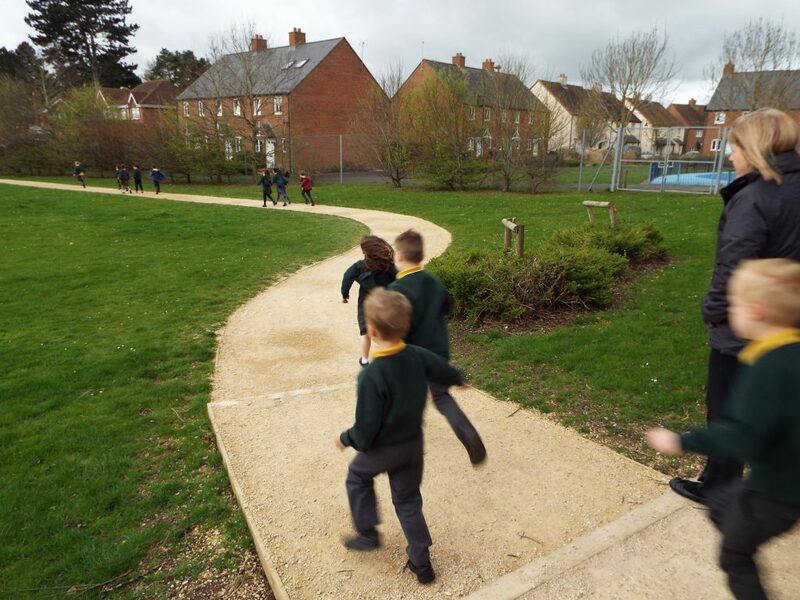 So, in autumn 2016, after successful trials of their own version of the Daily Mile – the Daily Run – Swindon-based Bridlewood Primary School made the decision to install an all-weather running track that would enable pupils to keep on running, whatever the weather. 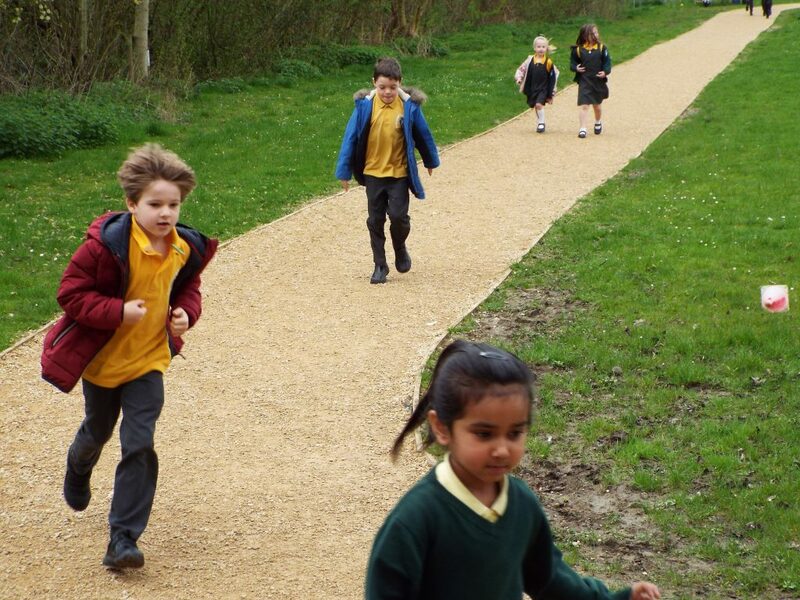 Jenny Hulse is Bridlewood’s PE Teacher and she explains why the school chose the Avium all-weather running track – a cost-effective, porous path comprising a triple-layered natural gravel system with a unique self-binding top coat. Initially Jenny tested out the new Daily Run with her own class. “It was summer 2016, which was fine because the grass was dry,” she says. “But in order to keep the Daily Run going all year round, I began to look into more permanent tracks for when the weather wasn’t so good. 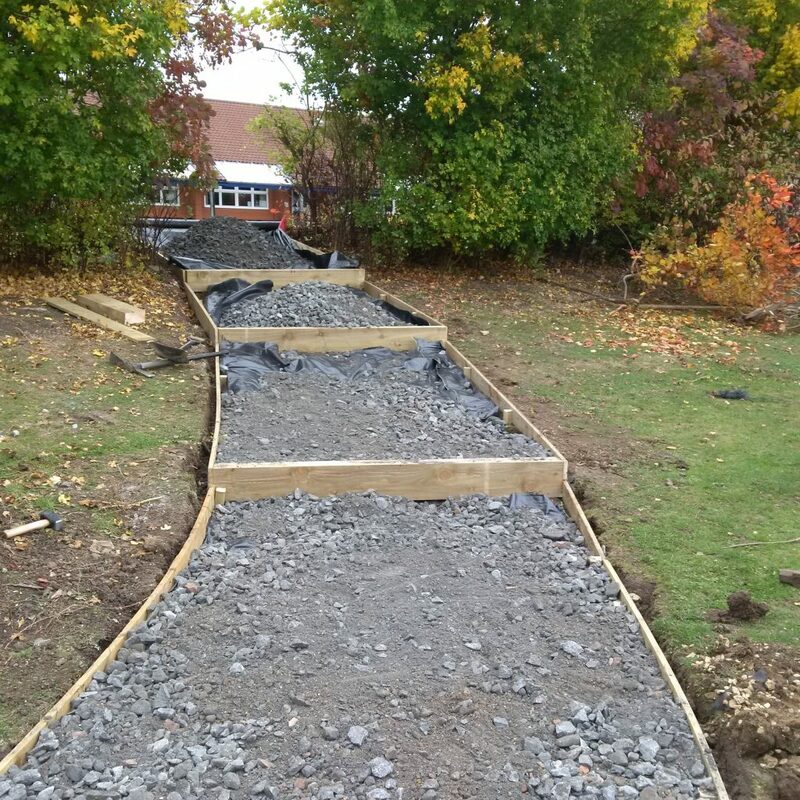 “Luke Whiteside from Avium came over to talk about their porous all-weather running track. 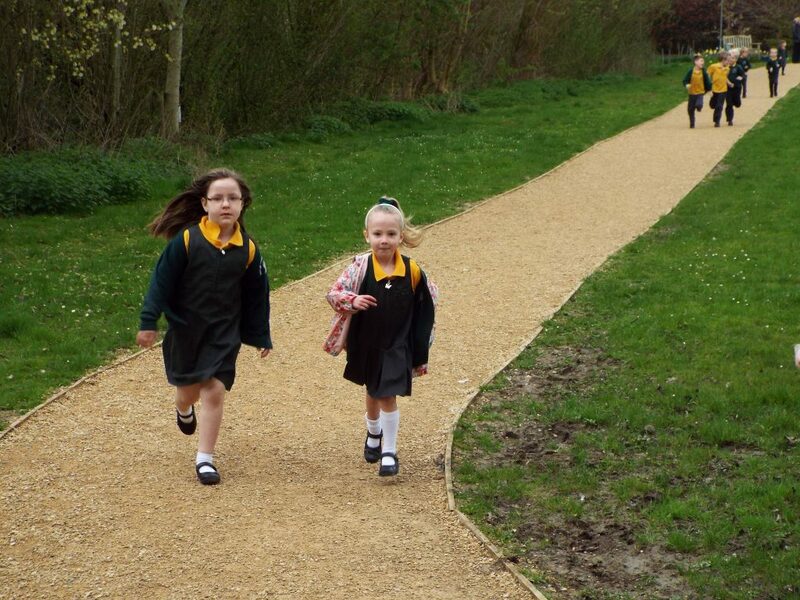 They’d already laid tracks for other local schools who seemed happy with the results. 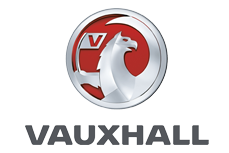 Their quote was also very competitive and much more affordable than, say, tarmac or rubber which were way out of our price bracket. 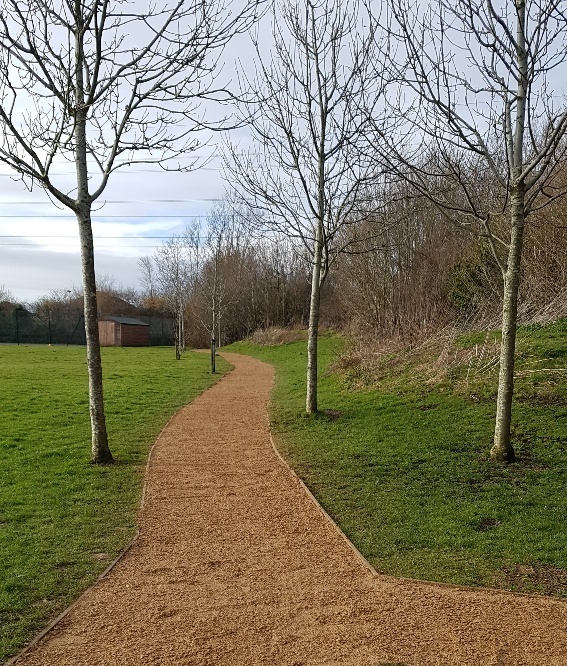 “One of the many good things about Avium’s all-weather running track is that it’s made from a natural gravel system rather than concrete, tarmac or rubber,” says Jenny. 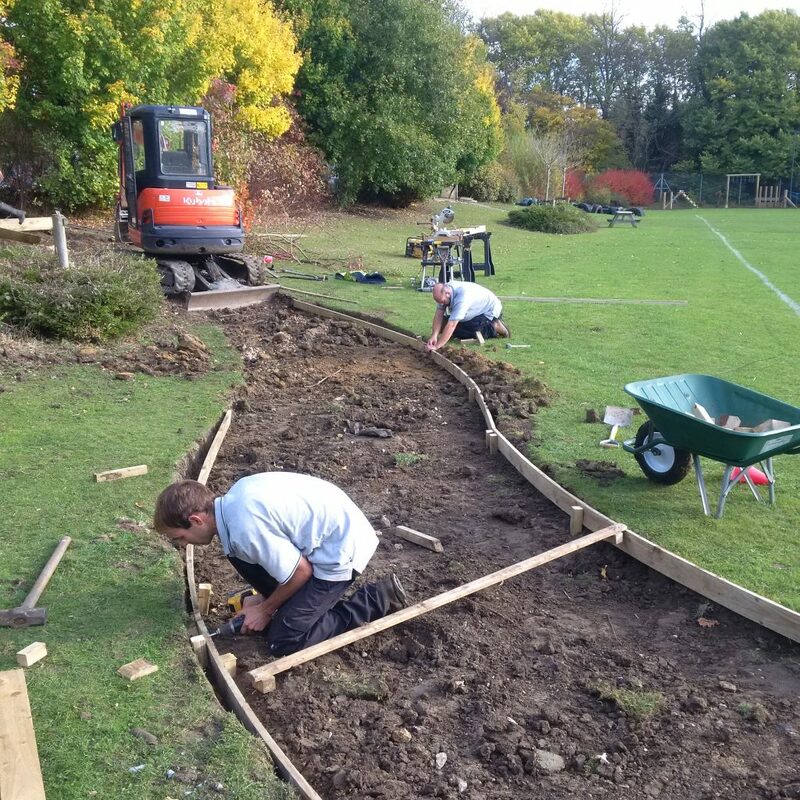 “So it looks more like a pleasant path through a park than a sports track making it more sympathetic to our landscaping, especially where it passes through an attractive archway in the hedge before running down to the school pond. Also, it can be easily extended – or even removed at some future point without leaving a blot on the landscape. “Working with Avium has been a very positive experience,” Jenny continues. 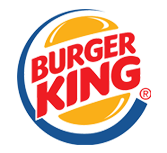 “They were quick with their quote, the price was competitive and the running track has been perfect for our needs. 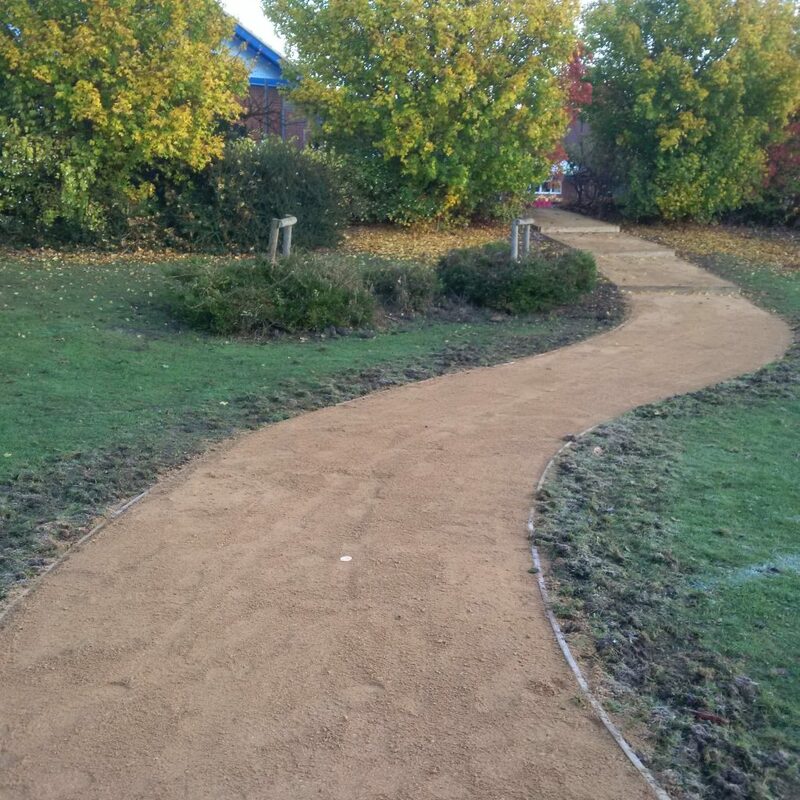 Luke and his staff were efficient and professional, and left the site tidy following installation. They even came back to plant grass seed around the edge where the grass had worn away. We’ve been really pleased and have already recommended their services to other schools who are interested in doing something similar. “I’m speaking at a school PE conference soon to explain how our Daily Run works, how we got the funding, why we’re thrilled with the Avium product and how the children can’t wait to get out of the classroom and onto it every day.